Sharon Butler, Free Your Mind, 2014, pigment, binder, pencil, tshirt, canvas, 18 x 24 inches. Minimum bid $200! Contributed by Sharon Butler / I’ve got several upcoming events to share with readers, including: April 17-a panel discussion at the National Arts Club; April 28 & 29-Dumbo Open Studios; May 6-12-Two Coats welcomes Resident Artist Craig Stockwell; May 18-Two Coats of Paint event at the Metropolitan Museum in May; June 1 – keynote for the Encaustic Conference on the Cape; and more. I hope you can join me somewhere along the way. On Thursday, March 29, I’m participating in a fundraising auction for The Truro Center for the Arts at Castle Hill, a vibrant community arts organization on the east end of Cape Cod. The auction will take place in Bushwick at David & Schweitzer Contemporary, 56 Bogart Street. March 29, 6:00pm. Artists include Joan Snyder, Richard Baker, Sarah Lutz, Mira Schor, Diana Horowitz, Anne Gilman, Andre Gregory, Barbara Cohen, Ying Li, Melissa Meyer, Dorothy Cochran, and 20 others, many of whom have taught workshops at Castle Hill. The exhibition will be on view Thursday March 29th through Sunday April 1st. To see (most) of the artwork that will be in the auction, click here. This should be good: artist-writers yakking about art and writing. 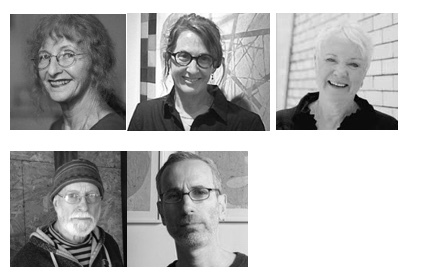 From the press release: Five artists who write and five writers who make art are one in the same. A discussion of how they have negotiated two or more successful careers, their inspirations, choices, practice and frustrations. Some have written about art and artists, others write poetry and novels, children’s books and essays. Each has had exhibitions of their art and their works are included in museum, corporate and private collections. Some also find time to teach and lecture, blog and run art galleries. There will be brief readings by each of their publications and screen images of their visual artwork. 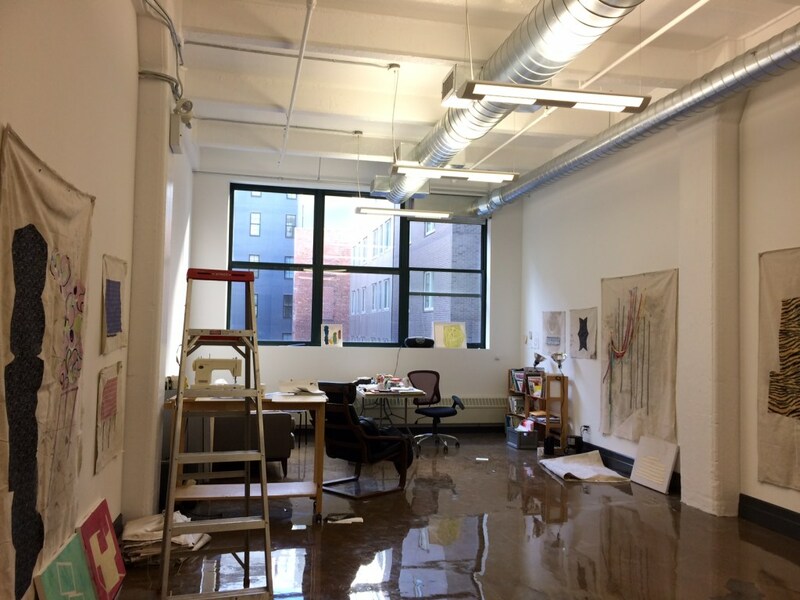 The new studio: Still at 55 Washington street, but now on the fourth floor. Dumbo Open Studios are April 28 & 29. I’ve been invited to continue in the Two Trees Cultural Space Subsidy Program for three more years, and during Dumbo Open Studios rather than curating an exhibition this year, I’ll be showing some pieces from a new body of work. I hope your can all stop by. Note: I’m in the same building, but I’ve moved from the third floor up to the fourth floor. In early June, I’ll be giving the keynote lecture, “The Persistence of Painting,” at the 12th International Encaustic Conference at The Truro Center for the Arts and teaching a workshop about contemporary painting practices. More information about the conference, which takes place from June 1st through 3rd, can be found here. • May 18: Two Coats special event at the Metropolitan Museum, 6 pm. Details to come. • September 7-10: I’ll be a guest speaker at the Cuttyhunk Island Residency, a new residency program on a small island off the coast of Massachusetts. In the fall, I’ll be teaching MFA seminars at the Pennsylvania College of the Fine Arts and at New York Academy of Art, and an undergraduate painting class in the Fine Arts BFA program at Parsons (The New School). Thanks to Didier William, Clint Jukkala, Peter Drake, Anthony Aziz, and Catherine Howe for the opportunity to be part of your communities.